Craig Lowndes and Shane van Gisbergen's bid to add to their Bathurst 12 Hour victory tallies on Sunday will come with trackside support from Triple Eight boss Roland Dane. The Supercars team-mates have three victories between them - Lowndes in 2014 and '17 and van Gisbergen in '16 - and will share a YNA Autosport McLaren with factory driver Come Ledogar. While the crew on the car is a combination of factory McLaren GT and McElrea Racing staff, Dane and Lowndes' regular engineer John McGregor will help run the entry on Sunday. Dane and McGregor were prominent parts of the joint Maranello Motorsport/Triple Eight Ferrari squad that won last year, while the former has overseen six Bathurst 1000 victories. McElrea Racing is also fielding the Pro-Am class YNA McLaren that features Scott McLaughlin, the Objective Racing McLaren and the Competition Motorsports Porsche this weekend. McElrea has recruited more Supercars brainpower to fill-out the team that, including drivers, totals 65 people. Strategy for McLaughlin’s entry will be guided by renowned Supercars engineer Campbell Little, who last year worked at the 12 Hour on Tekno Autosports’ McLarens. 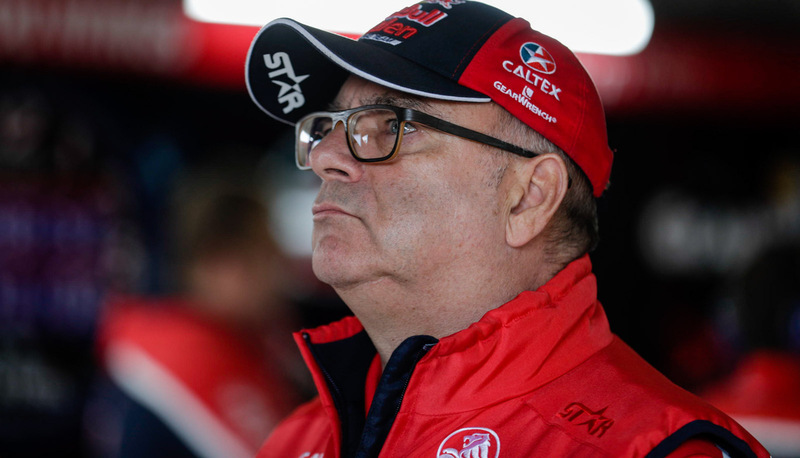 New Tekno chief Adrian Burgess is, meanwhile, spearheading the Objective entry, which boasts Brad Jones Racing’s Tim Slade and Walkinshaw co-driver Warren Luff in its line-up. That car will be engineered by Wes McDougall, who guided Todd Hazelwood to last year’s Super2 title and will continue with the youngster in the main series with Matt Stone Racing this season. “It’s extremely exciting to have these guys involved, both in terms of drivers and staff,” McElrea told Supercars.com of the additions. McElrea Racing is this year celebrating its 10th year of operation, having first run a single Super2 entry for Daniel Gaunt in 2009. It fielded a then 16-year-old McLaughlin in two Mini Challenge rounds the following year in preparation for his Super2 debut. “It’s neat for him to come on board all these years down the road,” added McElrea of McLaughlin. “We call him MR3 because he was the third driver to race for us and all the drivers that come through here get a tag. “We’ve raced against Shane here before and he knows the McLaren very well, so he’s the perfect fit for our program too. “With Craig, I didn’t know him personally before this came together, but you can instantly see why he’s so highly regarded. “He fitted into the team seamlessly and you’d think there’d be some ego there, but he’s just one of the boys, which is awesome. All three of Triple Eight's Supercars drivers will be in the race this weekend, with Jamie Whincup sharing a factory-backed Mercedes-AMG run by Scott Taylor Motorsport.